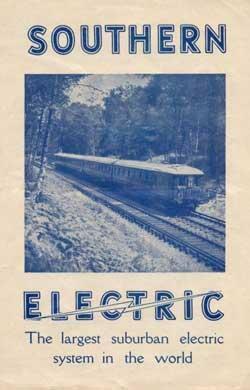 Cover of a 1938 leaflet promoting the electrification of lines from Waterloo to Ascot, Camberley and Reading. See also Ascot and Reading electrification. The proud description of 'The largest suburban electric system in the world' sits modestly under the photograph.